The Dow Jones today posted a 100-point gain in pre-market trading following yesterday's dramatic sell-off. Due to ongoing worries over trade and Sino-U.S. trade relations, Tuesday was the sixth consecutive drop in the Dow Jones Industrial Average. While the Dow might fall more than 300 points every now and then, it's important to have a strategy to make solid gains from buying opportunities. Here's how to trade on the dip. Don't Miss: This secret stock-picking method is so good, if you started with a small stake, a string of these picks could have earned you $1.2 million. Find out how it's done. The wealth of the world's millionaires increased for the sixth consecutive year in 2017, according global consulting giant Capgemini. In the annual World Wealth Report, the firm said that the world's richest class of citizens increased by 10.6% last year to hit a record $70 trillion. The secret to becoming a millionaire, of course, is getting out in front of a major investment trend before it becomes mainstream. In 2017, it was Bitcoin and cryptocurrencies. But this year, it's a taboo investment that is creating millionaires all across North America. Tap into the "green rush" and prepare to become a "marijuana millionaire." Learn how to get started right here. After 111 years as a member of the Dow Jones Industrial Average, General Electric Co. (NYSE: GE) has been replaced on the index by Walgreens Boots Alliance Inc. (NYSE: WBA). According to David Blitzer, managing director and chair of the Index Committee at S&P Dow Jones Indices, the change is part of an effort to increase value and prominence of consumer goods, finance, healthcare, and technology firms on the U.S. economy. GE is the last original member to be removed from the index. 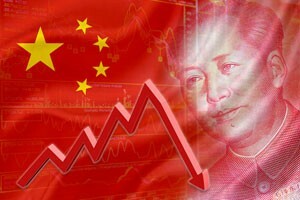 Shares of Boeing Co. (NYSE BA), DowDuPont Inc. (NYSE: DOW), and Caterpillar Inc. (NYSE: CAT) are getting pounded on concerns that a full-blown trade war may accelerate and hurt major exporters to China. Yesterday, U.S. President Donald Trump announced he may seek tariffs on another $200 billion in Chinese goods. Trump has asked U.S. trade representatives to identify potential products on which the United States could implement a 10% tariff. Recent trade volatility has erased all gains in the Dow Jones in 2018. Walt Disney Co. (NYSE: DIS) has raised its bid for Twenty-First Century Fox Inc. (NYSE: FOXA) assets to $71.3 billion in cash and stock. The new offer tops the $35 all-cash offer proposed last week by cable and telecom giant Comcast Corp. (Nasdaq: CMCSA). Micron Technology Inc. (Nasdaq: MU) will lead a light day of earnings reports Wednesday. The Chinese semiconductor giant is expected to report earnings per share (EPS) of $3.14 on top of $7.75 billion in revenue. While markets will be interested in this report, the greater focus will likely center on the impact of U.S. tariffs on the company's forward guidance. Oracle Corp. (NYSE: ORCL) stock was off 3.7% despite news that the cloud computing giant topped Wall Street earnings expectations yesterday. The firm reported adjusted EPS of $0.99 on top of $11.25 billion in revenue. Those numbers beat average expectations of $0.94 on $11.18 billion. The stock slumped after the company held its quarterly conference call and offered a less-than-stellar current-quarter profit estimate. Despite strong cloud computing sales. The company said that a stronger U.S. dollar is weighing on its bottom line. Shares of Starbucks Corp. (Nasdaq: SBUX) slumped 2% this morning after the company announced plans to cut back on its store growth and said it will close about 150 stores. Even though the company expects global same-store growth to increase by 1% in the third quarter, investors are worried about the long-term picture for the coffee retailer. Look for additional earnings reports from American Outdoor Brands Corp. (Nasdaq: AOBC), Winnebago Industries Inc. (NYSE: WGO), Actuant Corp. (NYSE: ATU), and Steelcase Inc. (NYSE: SCS).